New draft laws, for Wales, would make local authorities responsible for public toilet provision to improve public health – but how accessible will they be if this goes ahead? The Welsh Government Health Minister acknowledged the impact that lack of toilet provision has on people’s lives. 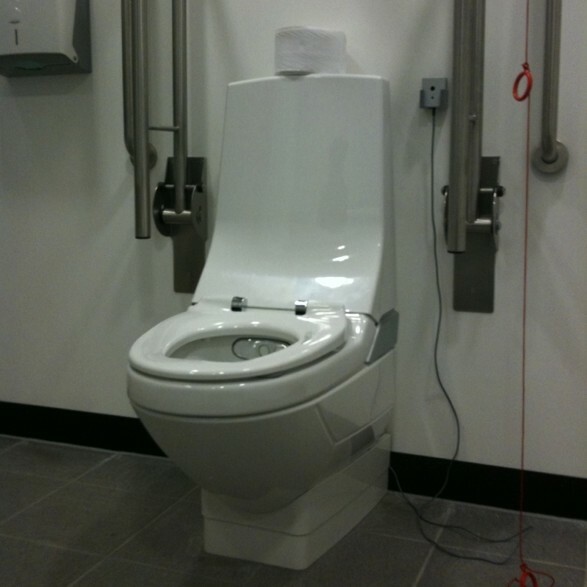 However, if this law is passed, Wales perhaps needs to think about what accessible actually means – an inaccessible toilet is as good as no toilet. AMs heard evidence that often public toilets were difficult to find or not open when needed, and that facilities did not meet their needs and were unclean and unsafe. Health minister Mark Drakeford told the BBC’s Sunday Politics Wales: “We know that if people are not confident that they will have the facilities they need then it has a distorting effect on their lives. “They stay at home when they would like to go out. They don’t take tablets that they need to take in order to be able to go out.